Wheatgrass is probably the most powerful source of chlorophyll on the planet. Just 1 teaspoon of wheatgrass is equivalent to 5 servings of uncooked vegetables! Just two scoops a day will neutralize toxins in your body, resulting in weight loss, even without doing any cardio. Wheatgrass stimulates metabolism. It also stimulates the thyroid gland, which corrects obesity, indigestion and a host of other problems. Take 1 scoop/teaspoon of wheatgrass in the morning, and 1 scoop/teaspoon in the evening. To dilute the taste, mix with organic orange juice, spring water or coconut water. Or use your blender to juice a few fruits together. This superfood is one of the secrets of the most indigenous countries around the world. As one of the oldest life forms on Earth, the use of spirulina as a food source dates all the way back to 9th century Chad, and it is believed to have been used by the Aztecs in 16th-century Mexico. In the US, spirulina is mostly used as a nutritional supplement or an ingredient to add to nutrient powder to smoothies and fat dimishing drinks. Spriulina is a source of vitality and life energy. The high content of vitamin B12 makes it a excellent for the development of healthy nerve tissue and the metablosim of every cell in the body. Just 1 or 2 scoops of spirulina daily usually results in an increase in energy and overall health. Our very own Subprech Nut Powder contains, among many other beneficial ingredients, cocoa powder. Cocoa is a raw form of chocolate but has all the nutrients and cofactors we miss in our daily diet. 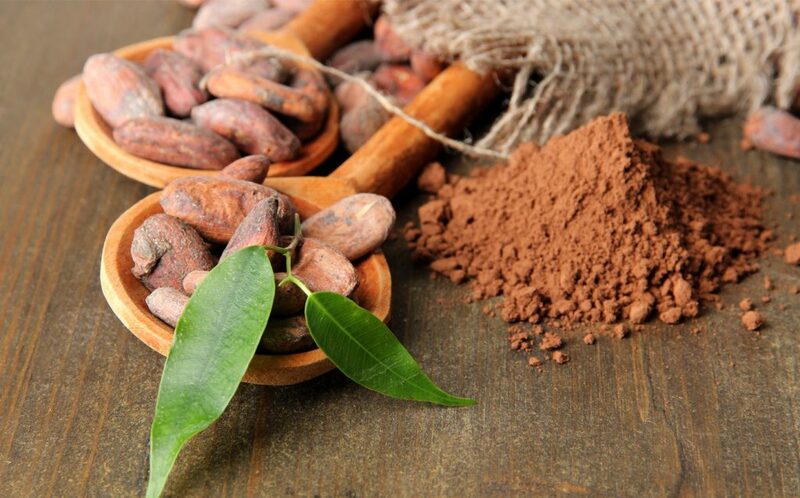 Cocoa is one of the strongest antioxidants on earth. It will not only keep you from getting sick, it may also reduce your allergies by 90% if you consume it on a daily basis. And the best news of all? Raw chocolate actually has appetite-suppresant properties and is often added to weight loss products to help control hunger. Just stir one scoop of ECOmed Subprech Nut Powder into almond milk twice a day, and reap the benefits. This entry was posted in Advice and tagged diet, fatloss, weightloss. Bookmark the permalink.